Happy 2nd Anniversary to Mr. Gunn and I! And just like that... 730 days / 104 weeks / 24 months / 2 years have passed since our perfect little day we were blessed enough to celebrate with our family and friends on 08.15.15. We've gone on so many adventures from small trips down the coast of California, to large trips overseas; to little wins with new business and jobs, and some extraordinary heartbreaking losses. But there's no one in this world I'd rather rejoice in every single happy moment with or ugly cry on his shoulder with than that man I said "yes, I'll be your girlfriend" 6.5 years ago and "I do" to being your wife 2 years ago. Feels like we've experienced so many highs and lows and we're just getting started! I love you more than you will ever know. Enough of the sappy stuff! Interested in what we did for our 2 year anniversary? Read below! We decided to stay a bit local this anniversary since we're planning on another mini trip next month! 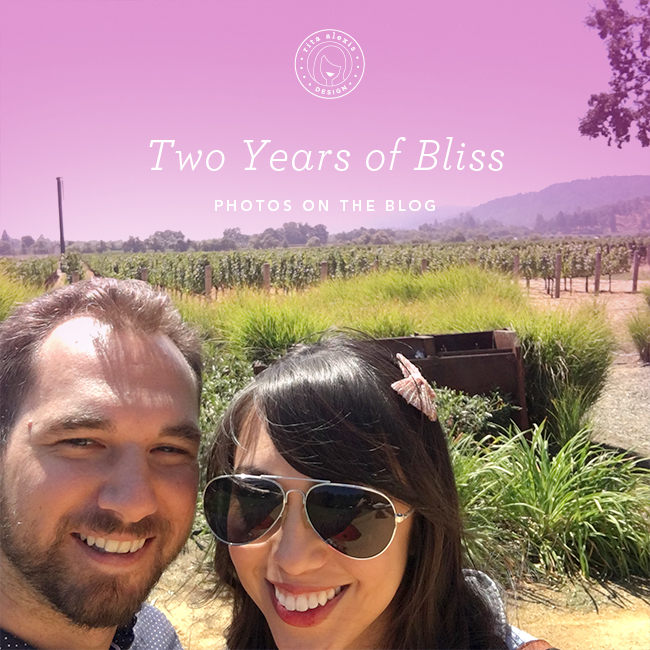 Although, our local (Bay Area, California) is a wealth of fun and beautiful places, we decided on wine country–Napa, to be exact! Napa was absolutely gorgeous. From the more vintage homes, the smaller towns, the Summer Nights bands, the beautiful weather, the delicious food, to of course, the WINE... we were completely blissful. I've hinted to going through some life tribulations, so having this little getaway to celebrate our love was the PERFECT stay-cation. Friday night started with checking out a Friday night band playing near the river in downtown; followed by a delicious cheese platter. #softcheesesrock Next, we had tapas for the first time at Zuzu's. We were seated at the end of a longer table of a big party, so it wasn't exactly the romantic setting we were looking for, but hey, roll with the punches, right? #silverlining The food was DELICIOUS. I'm a nibbler/snacker, so tapas were perfect for me. We then went in search for ice cream, but unfortunately it was closed. At least I got to sit in a huge chair! Saturday came and we were ready for wine tasting. We went on the historic Napa Valley Wine Trolley and it was super fun! The wind in your face/hair everywhere was a bit much in the beginning, (yea, my beautiful curls were a bit less voluminous) but the weather was great! Next on the trolley stop was Cosentino! Here, we were served lunch. And thankfully so since I was in need of something to absorb this alcohol. The food was from The Girl and the Fig and was delicious! (Sandwiches, pasta, fig cookies, brownies). We all sat at a long table and had fun chatting with everyone. Our wine sommelier was pretty awesome. He knew his stuff, was personable, funny, a legit chef, AND a football star from ASU (with a massive ring to prove it!). Our last stop #sadface was Andretti. We were all about drinking the wine and playing in the vines (to taste the grapes!). At this point, I don't even remember the taste of these wines. Perhaps why it was the last stop? Our SnapChat of a silly time! The next morning, thankfully, I had no hangover. We decided to have a picnic in the adorable town of Yountville (10 miles above Napa) which is like a mini French town. Our picnic, unfortunately was cut short by some bees, so we headed out. It was fairly early at that point, so we decided to go to this elusive castle our Trolley drover mentioned–Castello di Amorosa. And OMG, it's a legit castle... with bricks and animals! The views from up there were also super gorgeous. All in all, an AMAZING getaway.